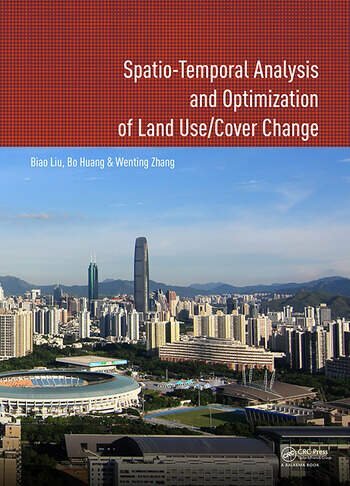 This book proposes a method to solve land use problems, and has made some significant contributions to the land use analysis and optimization study fields. Firstly, three spatio-temporal logit models for land use change analysis, namely, geographically and temporally weighted logit model (GTWLM), spatio-temporal panel logit model (ST-PLM) and generalized spatio-temporal logit model (GSTLM), are proposed. GTWLM, which considers spatio-temporal non-stationarity, includes temporal data in a spatio-temporal framework by proposing a spatiotemporal distance. ST-PLM incorporates the spatio-temporal correlation and individual effect in one model. By integrating GTWLM and ST-PLM, the GSTLM explores spatio-temporal non-stationarity and correlations simultaneously, whilst considering their individual effects to construct an integrated model. Secondly, a MOO-based two-level spatial planning of land use is proposed. The spatial planning aims at managing and coordinating the land use at different geographic extents and involves spatial layouts and structures of land use at different levels. In spatial planning, GIS and Remote Sensing are used to evaluate, analyze, and measure environmental, economic and social issues. The quantitative relationships between these objectives and spatial land use allocation are then used as rules in the MOO process to simulate environmental conditions under different spatial land use allocation scenarios. The book features a case study of Shenzhen city, the most important Special Economic Zone in China. This book will be of interest to academics and professionals in the fields of urban planning, land resource management, remote sensing and geographic information systems. Biao Liu is a Senior Engineer at the Center for Assessment and Development of Real Estate in Shenzhen, China. He is also an adjunct researcher at the Key Laboratory of the Ministry of Land and Resources for Construction Land Transformation, at Guangdong Province Key Laboratory for Land use and consolidation, Guangdong Province Engineering Research Center for Land Information Technology, and at the Wuxi Innovations Center (Shanghai Institute of Technical Physics, Chinese Academy of Sciences). He received his Doctorate at the Chinese University of Hong Kong in 2010. Biao's major research interests are land use studies, mass appraisal and smart cities. Bo Huang is Professor in the Department of Geography and Resource Management at the Chinese University of Hong Kong, where he is also the Associate Director of the Institute of Space and Earth Information Science (ISEIS). Prior to this, Bo held faculty positions at the University of Calgary, Canada and the National University of Singapore. He has a background and experience in diverse disciplines, including Geographic Information Systems (GIS), remote sensing, urban planning and computer science,. His research interests cover most aspects of GIScience, specifically the design and development of models and algorithms for spatial/spatio-temporal statistics, full-property satellite image fusion and multi-objective spatial optimization, and their applications in environmental monitoring and sustainable land use and transportation planning. Dr. Huang serves as the Asia-Pacific Editor of International Journal of Geographical Information Science (Taylor & Francis) and the Editor-in-Chief of Comprehensive GIS (Elsevier), a three-volume GIS sourcebook. Wenting Zhang, is a lecturer at the College of Resources and Environment at Huazhong Agricultural University, Wuhan, China. She graduated from the department of Geography and Resource Management at the Chinese University of Hong Kong in 2014. Her main research interest is multi-objective optimization for land use planning.